A thin crisp Indian preparation typically served as an accompaniment to meal. Also eaten as an appetizer of snack and can be eaten with various toppings such as chopped onions, tomatoes,chutney or other dips and condiments. 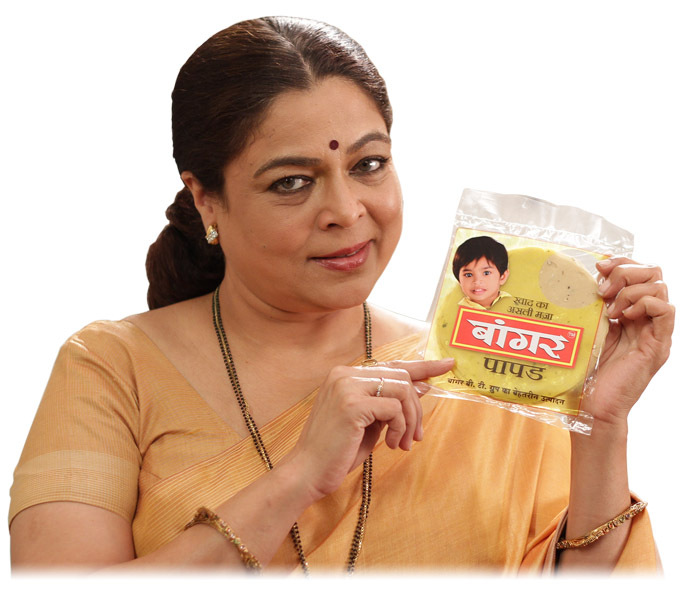 Bangar Papad comes with various flavours and taste. Available as Plain papad, Mix masala papad, Jeera Papad, Garlic Papad, Black pepper papad, Methi papad, Pudina papad, Punjabi masala papad & Moong papad. To make an ideal appetizer and digestive drink after heavy meal. It can also be used to sprinkle on fruit salads, vegetable dishes to add a tangy taste to ordinary dishes. Pack Size 100gm., 200gm. & 500gm.